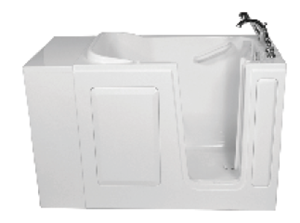 American Standard Walkin Bath Product Features: 2848 Combination - Left hand drain,Walk in tub with inward opening door provides safe and relaxing bathing experience. Deep and spacious tub provides extra comfort. Walk in tub with inward opening door provides safe and relaxing bathing experience. Deep and spacious tub provides extra comfort.